We are five years on from the Rana Plaza “Savar” five-story factory building collapse and fire that killed more than 1,000 garment workers in Dhaka (Dacca), the crowded capital city of Bangladesh. (The accident was on April 24, 2013). In the ashes and debris there were the labels of prominent developed nations’ apparel marketers. Reputations were at stake — “Reforms” discussions were immediately underway in Europe and North America. The Interfaith Center on Corporate Responsibility (ICCR) is keeping the accident and aftermath in the focus of the investment community and stakeholders. Yesterday ICCR (a coalition of 300-plus institutional members managing $400 billion AUM) and the group of allied investors issued a statement that helps to explain where we are. Right after the building collapse, the Bangladesh Accord on Fire and Building Safety was created as a model for collective action by brand marketers and retailers that source in Bangladesh. The Accord is now being extended (as the five-year deadline is reached in May) for another three years to complete the remediation of the 1,600 factories and companies that have not signed on (yet) are being invited by the investor coalition to become signatories and to implement the reforms spelled out in the Accord. The Accord, the investors point out, is still serving as a model that can be adopted and applied to other at-risk countries and sectors. The Bangladesh Investor Initiative – led by ICCR – was a catalyst that brought together 250 institutional investors with US$4.5 trillion in AUM in May 2013 to urge a stronger corporate response to the Rana Plaza tragedy, including urging companies to sign on to the Accord. The coalition invited companies to commit to strengthening local worker trade unions to ensure a “living wage” for all workers, and to engage with the Bangladesh government. Corporate signatories agree that global and local trade unions and NGOs could be invited to inspect the country’s apparel factories and implement reforms to protect workers. Companies were asked for transparencies in publicly disclosing their suppliers – including those located in the nation of Bangladesh. Worker grievance mechanisms and effective remedies (including compensation) should be put in place for all workers and their families. The investor coalition argued that supply chain transparency is critical to safeguarding workers and employer responsibility – including information on sub-contractors. Note that the Accord is legally-binding for signatories. To date, 220 brands and retailers have signed on to the original Accord. Remediation plans have made 2.5 million workers in “Accord factories” have been made “meaningfully safer”. A steering committee made up of an equal number of brand and union representatives and a neutral chair from the International Labor Organization govern the Accord. The Accord provided for in-depth health and safety training to personnel in 846 factories, reaching 1.9 million workers. A grievance process is in place; to date, there have been 183 worker complaints investigated and resolved. Detailed information is required for each factory. The Rana Plaza Donors Trust Fund has been established to compensate workers injured in the collapse and families of workers who were killed (note that Bangladesh has no national employment injury system). $30 million has been raised to date; companies sourcing garment/apparel work in the country were asked to contribute; 30 companies did so, along with several union funds and foundations. The ILO is the trustee and oversees distributions. Severance payments for affected workers in factory closures and relocations. Transition of Accord functions to a national regulatory body. We’ll bring you updates as the Transition to the new Accord continues. Located in Southeast Asia, the People’s Republic of Bangladesh is the world’s 8th most populous country, according to Wikipedia (163 million estimated). It was once part of “British India” until East Bengal became part of the Dominion of Pakistan, was re-named East Pakistan and then became independent in the early -1970s. It is characterized as a “developing country,” one of the poorest, and trades with the USA, EU, China, Japan, India, and other nations. Per capita income was estimated at US$1,190 in 2014. The largest industries are textiles and ready-made garments; leather-goods (footwear is the second largest in exports. Bangladesh is the second largest exporter of clothes in the world. CNBC in commenting on the five year anniversary (on April 24) noted the factories still pose a life-threatening risk, with 3,000 of 7,000 factories endangering the lives of low-paid garment workers (according to a New York University Centre for Business and Human Rights Study). Conversation with Professor Baruch Lev at NYU: Is Accounting Outmoded? The book: The End of Accounting. Questions: Is Accounting as we know it now outmoded … beyond Its usefulness to investors? We share with you today the views of a global thought leader on Accounting and Corporate Reporting — Dr. Baruch Lev of Stern School of Business at New York University. Professor Lev’s shares his views of the vital importance of intangibles to investors, with his call for far greater corporate transparency being needed … including his views on the importance of CSR and sustainability. 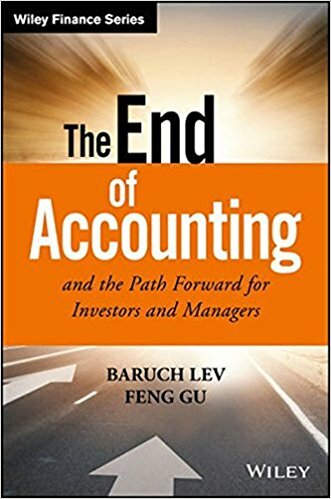 His latest work: The End of Accounting – and the Path Forward for Investors and Managers — authored by Dr. Baruch Lev and Dr. Feng Gu of the University of Buffalo/ SUNY. The professors’ important new work is the result of three years of research and collaboration, In the book they that suggests new approaches are needed to reform “old” accounting practices to provide more information of value to investors, who are mostly ignoring corporate accounting. And as read the book, we were thinking: what about ESG – CSR – Sustainability – and other new approaches that do focus on many intangible aspects of corporate operations? We had a conversation with Dr. Lev and share his views on this and more with you today. After reading the book, readers may ask: Is this about the “The End of Accounting?” Or, “The Beginning of Really Useful Financial Information for Investors?” My view: It’s both! And for sustainability / CSR professionals: This is an important new work for your consideration that focuses on the importance of intangible information for investors to help guide their decision-making. Accounting as we know it has been around for 500+ years. Fra Luca Bartolomeo de Pacioli, the Italian mathematician (c 1447-1517) set out the principles of the double-entry bookkeeping system for the merchants of Old Venice in his 1494 work, Summa de Arithmetica, Geometria, Proportioni et Proportionalita, a very important textbook of the day. But now, Professor Baruch Lev posits in his work with colleague Professor Feng Gu, we really need to reform this five-century-old approach to how we account for the financials and think and act way beyond the traditional. Let’s begin with the corporate “intangibles” – some investment professionals still speak of a company’s ESG / Sustainability / Responsibility strategies, programs and actions, achievements, and the burgeoning reportage of same (data & narrative) as addressing the intangibles (and not “the tangibles,” represented by the financial data). But many analysts and asset managers look far beyond the financials to help determine the valuation of a public issuer. For example, veteran financial analyst Stephen McClellan, CFA, formerly VP and head of research for Merrill Lynch and author of the best seller, “Full of Bull,” has told conference audiences that as much as 80% of a corporate valuation may be based on the intangibles. Writing for investors, Professors Lev and Gu put forth their suggestions for dramatic accounting and corporate reporting reform. They “establish empirically” in their work that traditional corporate accounting is failing investors and reforms are needed. Development of Resources: Detailed descriptions for investors of the company’s important internal research efforts, the R&D advances, the further development of present technologies to leverage to create value, etc. After “proof of concept,” how does the R&D contribute to the value of the company? Preservation of Resources: The safety/security of such things as a company’s digital assets, IT, IP, and so on; are there cyber attacks? Was there damage – to what extent? 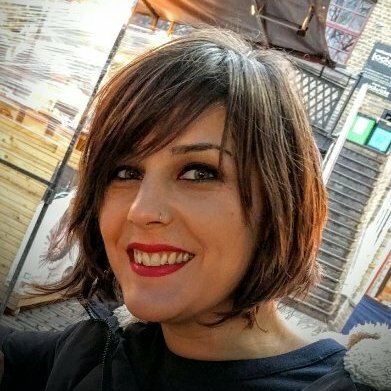 What does the company do about these attacks? How does the company manage and secure its acquired knowledge? Deployment of Resources: As the company creates “value,” how are the strategic resources deployed? How does the company use its intellectual assets? G&A Institute: Your new book offers very powerful arguments for fundamentally changing present-day corporate accounting and the way that investors do or do not pay attention to that accounting in their analysis and portfolio decision-making. There are a lot of vested interests in the present system; can the accounting and corporate disclosure and reporting systems be changed to reflect your recommendations? Dr. Lev: Things change very slowly in accounting policies and practices. The systems is changing, in that public company managements are disclosing a considerable amount of information that is beyond that required for SEC filings, in the areas that we touch on in examples in our book. So there is progress. But not fast enough, I believe, to really serve investors. G&A Institute: The SEC months ago published a Concept Release requesting public input on the present methods of corporate disclosure. We were encouraged to see more than a dozen pages in the document devoted the question of ESG metrics, sustainability information, and the like. Your thoughts on this? Dr. Lev: We have not seen any further communication on this and there are no rules proposed. Will the new administration take any of this seriously? Observes Dr. Lev: There are now many corporate financial statements that virtually no one understands. There is great complexity in today’s accounting. When we look at the US Environmental Protection Agency and environmental rules, we see that once rules are in place, they are constantly debated in the public arena. Unlike the EPA situation, there is presently no public interest in debating our accounting rules. G&A Institute: Well, let me introduce here the subject of the SASB approach — the Sustainable Accounting Standards Board (SASB). Of course, the adoption of the SASB approach by a public company for adopting to their mandated reporting is voluntary at this time. What are your thoughts on this approach to this type of intangibles disclosure? Dr. Lev: Well, the SASB recommendations are built on top of the present approach to accounting and reporting. In effect they leave the financial reporting system “as is,” with their rules built on top of a weak foundation as we outline in the book. I’ve said this at the SASB annual conference and my comments were very well received. I did point out that the SASB approach is quite useful for investors. But the demand for voluntary disclosure by companies could create an invitation for lawsuits all over the world, if certain disclosures were made regarding a company’s environmental impacts. G&A Institute: Well, aren’t investors seeking information such as environmental performance, as well as related risk, opportunity, more of the “E” of ESG strategies, performance, and metrics? Dr. Lev: It depends on the setting. Our book was in process over a three-year period. My co-author and I devoted an entire year to analyzing hundreds of quarterly analyst (earnings) calls. Keep in mind that an analyst may have just one opportunity to ask the question. There were no — no — questions ever raised about ESG performance, corporate sustainability, and related topics. We reviewed, as I said, hundreds of earnings calls, with about 25-to-30 questions on each call. G&A Institute: What kinds of questions may be directed to corporate managers on the calls about intangible items? Dr. Lev: There were questions about the R&D efforts, the pipeline for example for pharma companies. Customer franchise was an important topic. Changes in U.S. patent law resulted in much more information being disclosed by the U.S. Patent Office related to the filings. The entire argument made for patent filing, for example, and this is a subject the analysts are interested in. G&A Institute: Are there any discussions, analyst and corporate, about ESG/sustainability? Dr. Lev: Yes, these questions are mostly in the one-to-one conversations. A challenge is that in my opinion, the ESG metrics available are not yet at investment-grade. There is a good bit of investor interest and discussion with companies about sustainability. The factors are quite relevant to investors. But the “how-wonderful-we-are” communications by large public companies are not really relevant to investors. G&A Institute: What kinds of information about the CSR or environmental sustainability intangibles, in your opinion, is of importance to investors? Dr. Lev: Think about the special capabilities of the public corporation. The organization typically has special capacity to do good. Not just to donate money, which is something the shareholders could do without the company. But to share with the stakeholder, like a community organization, the special know how and other resources to make good things happen. The world really expects this now of companies. Call it Corporate Social Responsibility if you like. Explains Dr. Lev: Cisco is a fine example of this. The Company has a Networking Academy, and they invite people to enroll and take free educational courses to learn more about networking. There have been millions of people graduating from this academy and receiving certificates. Cisco management leverages its special capacity in doing this. And it is a good idea if you think about the impact of this far-sighted approach to generate more interest in and business with Cisco. Another example he offers is Home Depot. The company teams with an NGO – Kaboom — to build playgrounds for children. In terms of special capacity, HD does provide materials, but also provides company legal talent to help situate the playgrounds in the neighborhood. That is far more than throwing money at a community need. Dr. Lev Observes: I think one of the issues is that the terminology is not clear. CSR — what is it? Good or bad for investors? Having good ideas and special capabilities is key, I think. G&A Institute: This brings us to one of your former colleagues, Dr. Milton Friedman of the University of Chicago, who famously wrote in a New York Times magazine article that CSR is, in effect, hokum, and not the business of the company. Shareholders well being should be the main focus, and through dividends and other means, if a shareholder wants to give the money away, they can do that…not the company. Dr. Lev: I was a student of Dr. Friedman and later a colleague at the University of Chicago after I got a Ph.D. He was a brilliant man. In my opinion, he was the greatest economist of the 20th Century and I put him on a pedestal. He liked to introduce a subject and then generate great debate on his suggestions, which he felt people could accept or reject. That, I think, is the case with his famous commentary on CSR. See, we are still debating his views today. He was proved right so many times during his time. G&A Institute: Let’s conclude this talk with a question: Do you see a value for investors in accepting, or better understanding, such terminology as CSR and sustainability and sustainable investing? Dr. Lev: Yes, these are important approaches for companies and investors. Four years ago I devoted a chapter to CSR in my book, “Winning Investors Over.” My views are fully set forth in the recent article, “Evaluating Sustainable Competitive Advantage,” published in the Spring 2017 issue of Journal of Applied Corporate Finance. Notes Dr. Lev: About “CSR” — there are other terms used, of course. Varying titles are very confusing. It is not always clear what CSR or sustainability may mean. For example, the Toyota Prius is a good approach to auto use. Is manufacturing that car “good CSR,” or just good business? A measure of sustainability? CSR is hard to define, sometimes. Good corporate citizenship is good for business and good for society, I believe. G&A Institute: Thank, you Dr. Lev, for sharing your thoughts on accounting and the reforms needed, in your book and in this conversation. The book:: The End of Accounting – and the Path Forward for Investors and Managers … by Dr,Baruch Lev (Philip Bardes Professor of Accounting and Finance at the NYU Stern School of Business and Dr. Feng Gu (Associate Professor and Chair of the Department of Accounting and Law at the University of Buffalo). Published by Wiley & Sons, NY NY. You can find it on Amazon in print and Kindle formats. Dr. Baruch Lev is the Philip Bardes Professor of Accounting and Finance at New York University Leonard Stern School of Business; he teaches courses in accounting, financial analysis and investor relations. He’s been with NYU for almost 20 years. Dr. Lev is author of six books; his research areas of interest are corporate governance, earnings management; financial accounting; financial statement analysis; intangible assets and intellectual capital; capital markets; and, mergers & acquisitions. He has taught at University of Chicago; the Hebrew University of Jerusalem; Tel Aviv University (dean of the business school); University of California-Berkeley (business and law schools). He received his Bachelor of Accounting at Hebrew University; his MBA and doctorate (Accounting/Finance) are from the University of Chicago, where he was also a professor and (student of) and then academic colleague of Nobel Laureate (Economic Sciences-1976) Dr. Milton Friedman (1912-2006).